Ritual Bath was designed to purify and cleanse the body and aura, purging and ridding of any negativity before performing any ritual or spellwork. This blend is very calming and brings a sense of peace and tranquility. 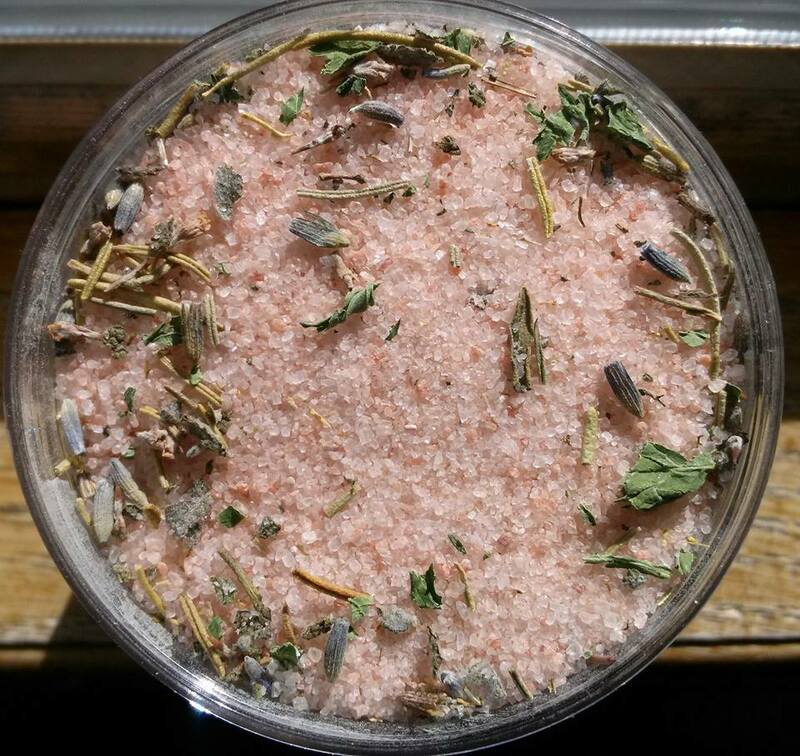 Ritual bath is made with Himalayan pink salt and a proprietary blend of natural dried herbs for purification, peace, cleansing, and protection. Light lavender mint scent. A clear quartz point is included to intensify the properties of this blend. You may add the gemstone to your bath water while you soak, or display and use as you see fit. **Note for those with allergies: Ritual Bath products contain almond oil (skin emollient). If you have an allergy and need a product without almond oil, please contact me. I would be happy to make a custom order for you and substitute a different emollient at no additional cost to you.